Post sponsored by Stash Tea. See below for more details. 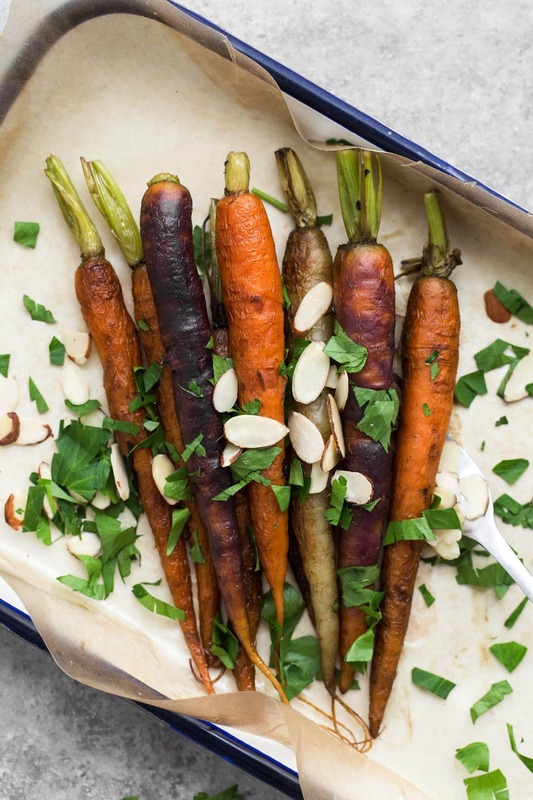 There are endless amount of beautiful whole carrot dishes floating around the internet with good reason. 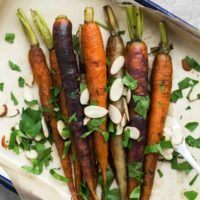 Carrots, properly cooked, develop a little more of their sweetness and have a perfect soft texture (without being mushy). 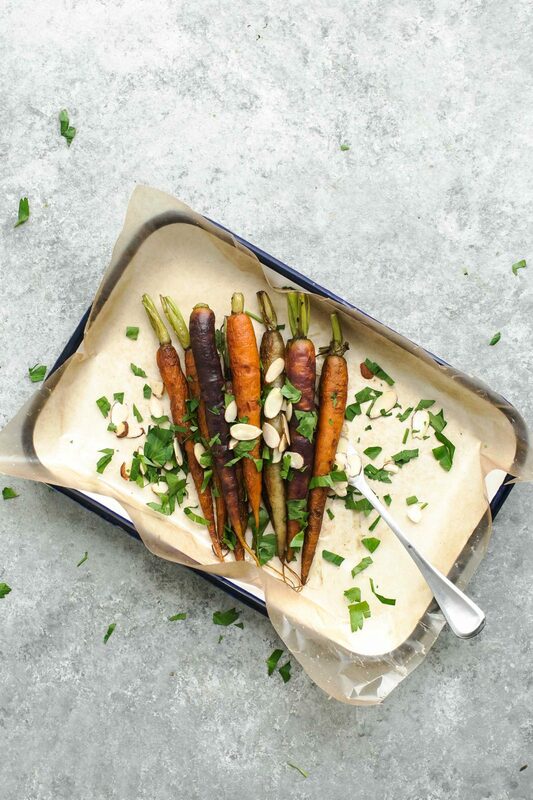 These braised carrots are cooked in a smoky lapsang souchong tea. This tea adds a hint of tea flavor but mostly adds a deep, smoky flavor. Beyond serving as a stellar side dish, you could easily pair these braised carrots with rice and a poached egg for a complete meal. Wine Pairing: 2013 Boeger Tempranillo: An earhthy dryness in the wine is brought out by the smoky tea and enhances the sweetness of the braised carrots. The wine and the carrots just keep getting better together! Root vegetable: Try this recipe with parsnips instead of carrots. Or you could thinly slice sweet potatoes and braise 10 to 20 minute until tender. 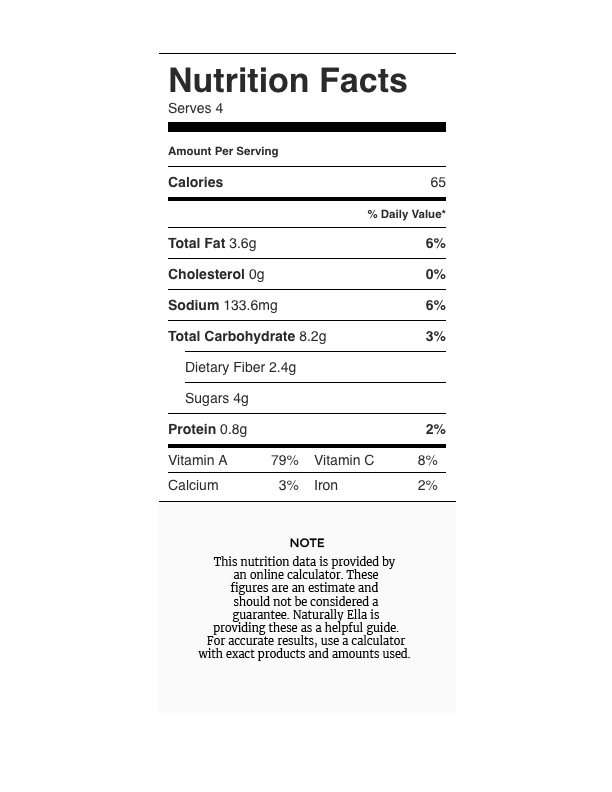 Tea: Can’t find lapsang souchong? Your favorite black tea would be great. Look for a loose leaf as that will impart the most flavor. 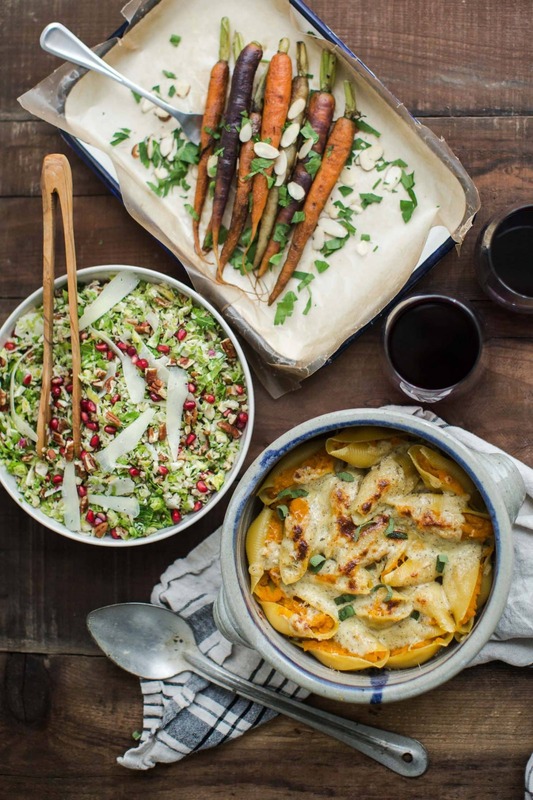 Fennel: You could also braise fennel with tea! Cut the fennel bulbs into quarters and prepare as above. While I tend to be a coffee drinker, tea makes for an extremely fun ingredient to play around with in the kitchen. The different flavor profiles in the teas can lend themselves well to savory dishes, like in these braised carrots. I recommend picking up tea and trying a couple savory recipes and if you need even more inspiration, there’s an entire cookbook devoted to tea recipes. 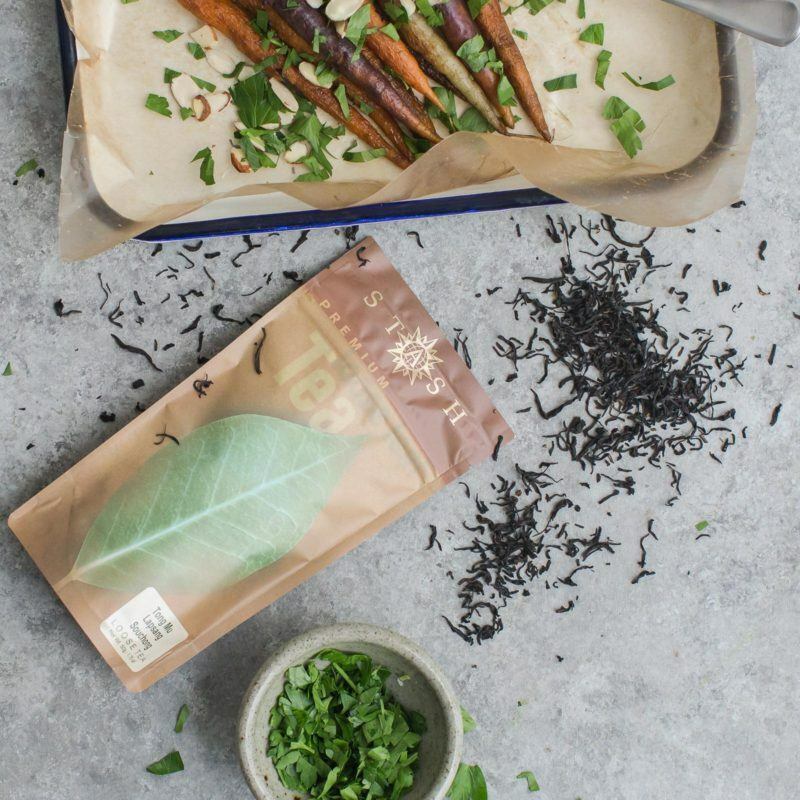 A lovely idea to braise carrots in tea and a simple recipe to boot! These carrots! Tea-braised. So genius. I’m really in love here. These were super easy to make! I have a tea obsession. I actually didn’t like them, too smoky for my taste, but my roommate loved them! They tasted to me like bacon smells (never tried it- vegetarian) Will definitely make again for family and friends.